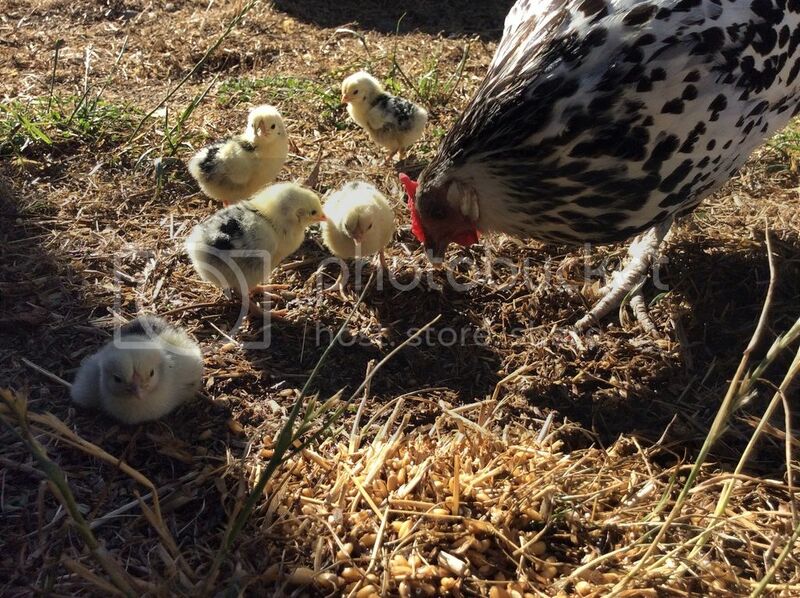 Poultry Central - The New Zealand Poultry & Chicken Forum • View topic - Unexpected Sneaky Arrivals! Emmmm Miss Dotti. I wondered why I had not seen you wandering around with your husband Errol and his other wife Miss Spotty. Even thought you might be dead. But then saw you a few times. Miss Dottie is a Silver Spangled Hamburg. She has a lovely nature and is one of only 3 that are allowed free run of the place. I set up an old plastic cat toilet box with no door with some hay and after her chicks ate and drank popped them in it, she hopped in and has settled for the evening in the box, from where they can still free range. Awww, gorgeous. Maybe not expected but they're cute all the same!